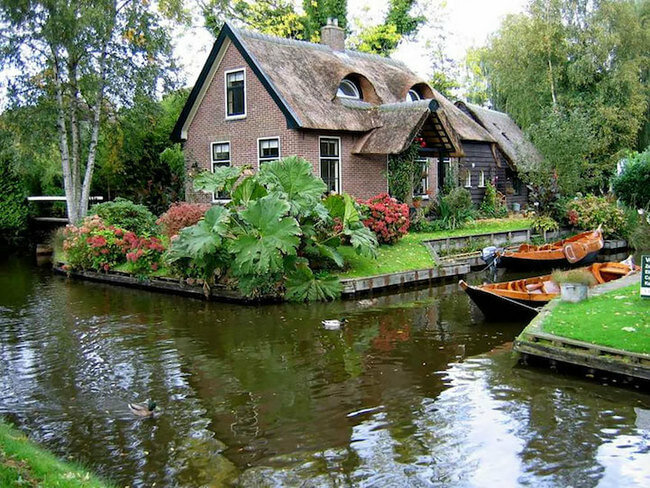 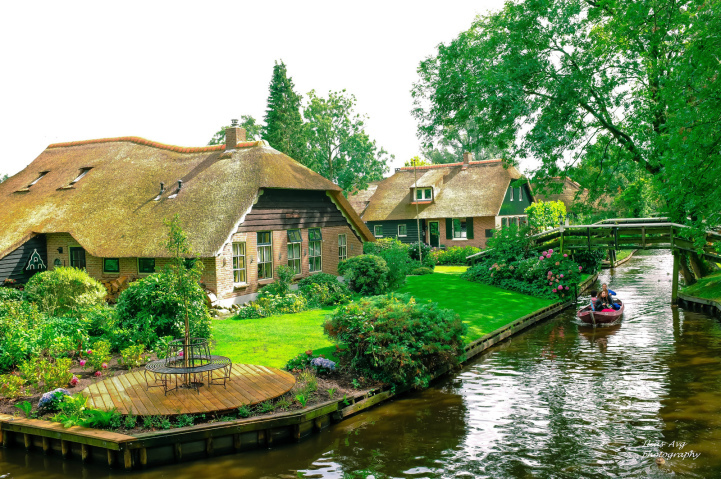 Tucked away in the rural Netherlands is Giethoorn, a picturesque village that’s earned the nickname “Dutch Venice” because it lacks roads or any form of modern transportation. 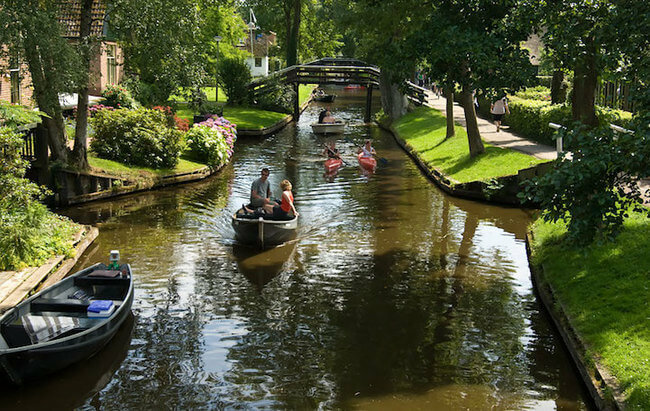 To get around, you travel the old-fashioned way—via canals or on foot across one of its 176 bridges. 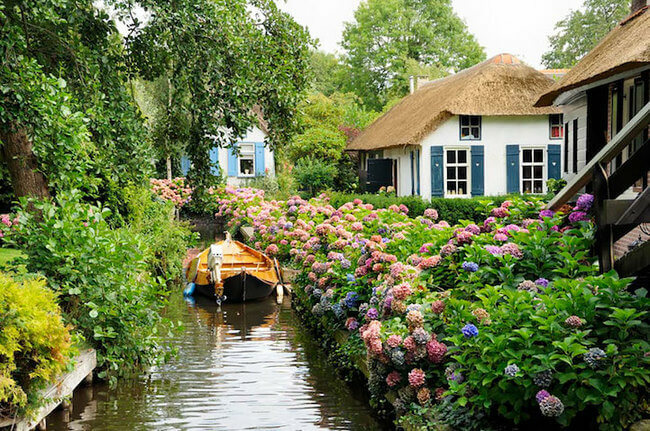 The peaceful setting, founded around 1230, features a series of small waterways that guide boats past its historic architecture and luscious vegetation. 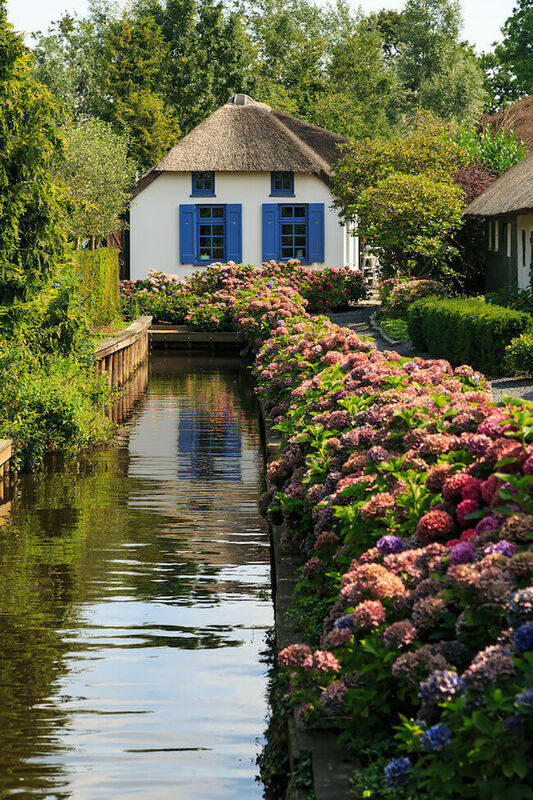 Similar to vehicle-occupied roads, the canals have their own “streets” that take you past thatched-roof farmhouses, museums, and commerce. 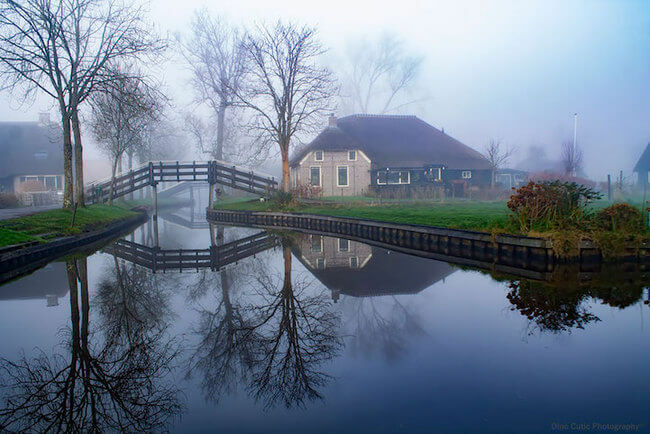 Unlike cars, however, the overall landscape is a quiet one. 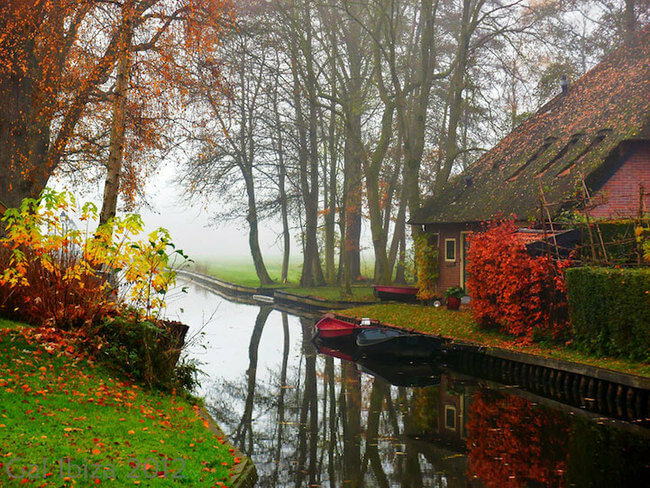 Electric “whisper boats” are popular alternatives to motorboats and make a minimal amount of noise. 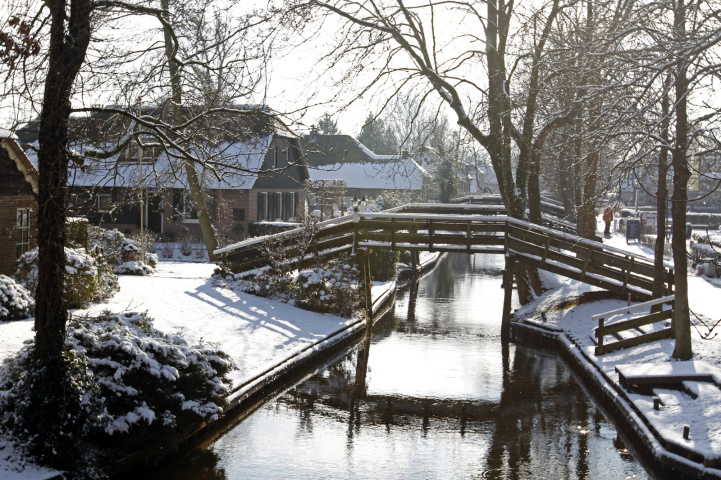 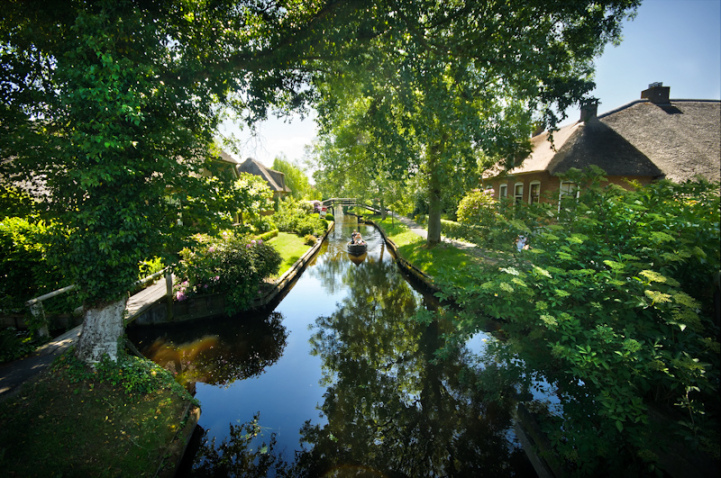 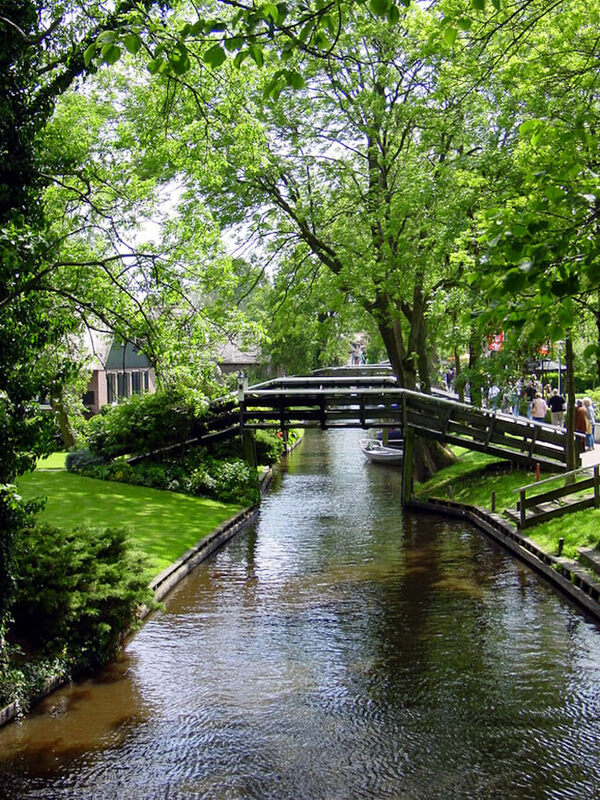 According to Giethoorn tourism: “The loudest sound you can normally hear is the quacking of a duck or the noise made by other birds.” For those looking for a serene getaway, Giethoorn is it.